Can you guess which device we are talking about? Well, you don't have to because we will tell you! 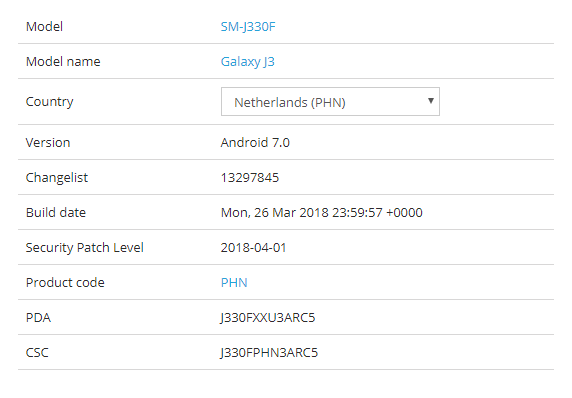 The Galaxy J3 (2017) has started to receive the security update for April in Netherlands and Luxembourg, but we wouldn't be surprised if certain other European countries have also begun to receive the patch by the time you get around to reading this. While Samsung has been pretty much on time recently with the monthly security updates, it's still March, so it's actually very surprising to see the April security patch arrive for the Galaxy J3 (2017) so early! In fact, this makes the Galaxy J3 (2017) not only the first smartphone in Samsung's arsenal to receive the update, but the first phone till date from any OEM to receive the April patch! That includes the Google Pixel phones as well and they are always the first devices to get the monthly patch. Furthermore, Google themselves have not detailed the April security patch yet, so nobody has any idea what this patch contains and protects against!